Whether you’re hosting Thanksgiving or traveling to visit friends or relatives, these helpful tips may keep your children safer this holiday season. 1. Preparation is key. 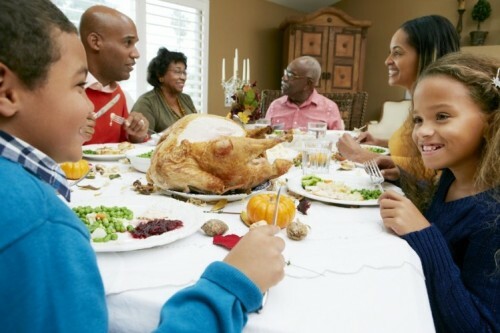 Plan ahead to see how many and how old the children are that will be at Thanksgiving. Then, pick out toys/activities appropriate for several ages and keep the others out of reach. 2. Create an activity area for children to play, equipped with appropriate toys and activities. 4. Do a quick walk-thru to identify any red flags throughout the home, and in children’s reach: whether it be toys, poisons/medications, unsafe electrical outlets, doors accessing pools, etc. Dana Walraven is the manager of Community Health Outreach at Cook Children's and coordinator of the Safe Kids Tarrant County Coalition. Being a parent is tough. We want you to know that you are not alone. We've compiled tips, resources and practical advice on a variety of safety and prevention topics designed to help you raise a safe and healthy family. Visit our Cook Children's Safety and Prevention Center today.